Two years ago on the women’s world rankings, she stood at no.50, one year ago at no.31, now in February 2019, she is named at no.14; few players can match the consistent progress of Japan’s Saki Shibata. 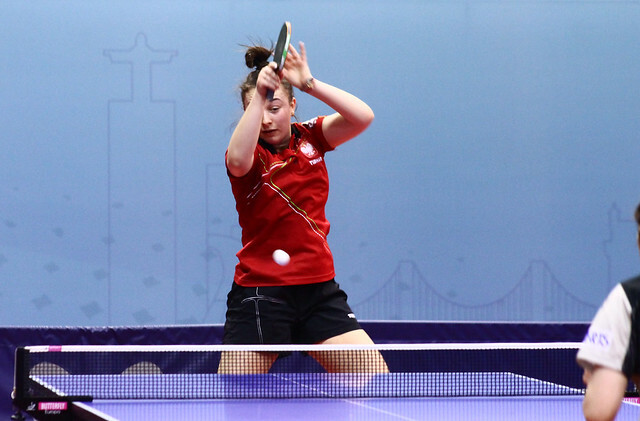 At the forthcoming Seamaster 2019 ITTF Challenge Plus Portugal Open, which commences in Lisbon with qualification on Wednesday 13th February, in the women’s singles event, the 21 year old is the no.3 seed; she is listed behind China’s Liu Shiwen and colleague Hitomi Sato. It would appear the establishment of the ITTF Challenge Series, since January 2017 a separate entity to the ITTF World Tour, has been a blessing for Saki Shibata; most certainly there is no player who can match her in terms of success. During the two year period she has appeared in six ITTF Challenge Series women’s singles finals, she has finished in runners up spot on only one occasion; in 2017 in Poland she was beaten in the final by colleague Mima Ito. It is very much the same scenario in women’s doubles and under 21 women’s singles event. Three women’s doubles finals partnering colleague Satsuki Odo, the pair experienced defeat last year in Thailand, when losing to the host nation’s Orawan Paranang and Suthasini Sawettabut. Conversely, they won in both Belgium and in Belarus. In Lisbon, Saki Shibata once again partners Satsuki Odo; the duo occupies the no.2 seeded position behind Hong Hong’s Ng Wing Nam and Minnie Soo Wai Yam. Notably they are the only previous ITTF Challenge Series women’s doubles winners on duty. Similarly, in under 21 women’s single events, in no less than seven finals, Saki Shibata has only one defeat against her name, in 2017 in Slovenia she was beaten in the title deciding contest by Puerto Rico’s Adriana Diaz. However, competitors in Lisbon can breathe a sigh of relief, she is now too old to compete in the age group event. Notably, in a two year period, Saki Shibata has won no less than 13 ITTF Challenge Series titles; the number is quite staggering. Now, in Lisbon, her first open international tournament of the year, the travels start again; one wonders what will be the count when the year ends? A top 10 world ranking and 20 ITTF Challenge Series titles to her credit?